It is that time of year again where we take the time to back all our important information up. What did you think I was talking about? If you are like me, you keep a copy of your personal documents on a portable HDD and kept somewhere else just in case (like a WD My Cloud). Even if you don't, the new ADATA DashDrive HD650 has some nice features if you are shopping for a portable drive for whatever you want to store. The ADATA DashDrive HD650 is designed for those with more active use in mind. The scratch proof acrylic case can absorb impacts and shock thanks to its triple layer design. It uses the ultra fast USB 3.0 interface to ensure that the internal mechanical HDD is not restricted during transfers. It also draws power from the same port to maximize portability and cable clutter. This seems perfect for anyone with a slim Ultrabook/Notebook and perfect for photographers and videographers that work outdoors. The ADATA DashDrive HD650 is available now in both scarlet red and sleek black. It'll come in a 500GB size for $59.99 US and 1TB size for $74.99 US. You can find it and other portable drives from the DashDrive lineup at many of your favourite retailers. I would go with the scarlet red as the color makes seems easier to keep track of when you are out and about. The full press release is posted below. 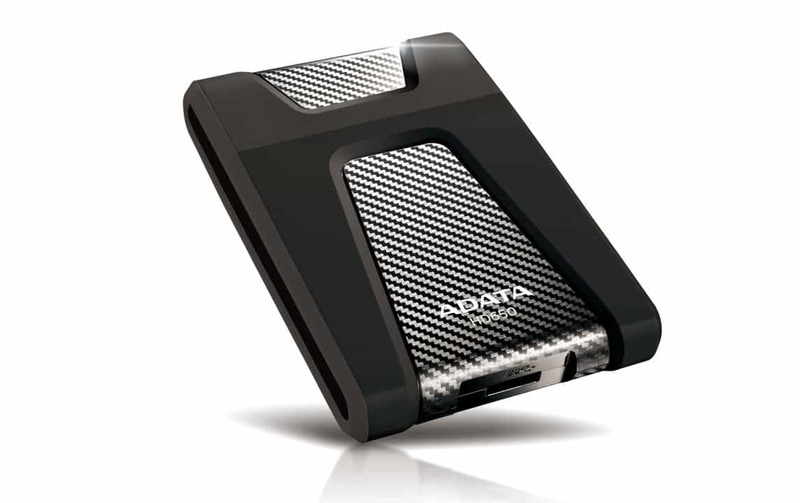 December 17, 2013 - ADATA™ Technology, a leading manufacturer of high-performance DRAM modules and NAND Flash application products, today announced the introduction of the DashDrive™ Durable HD650 portable hard drive. The HD650 is designed for those with active lifestyles, and is designed to absorb impacts while protecting valuable stored data. Its flowing lines and striking colors make it a great looking storage option for all ages and genders. The housing of the HD650 is comprised of a scratchproof acrylic material, and the drive incorporates a unique triple layer construction designed and engineered for superior shockproof performance. An ultra-fast USB 3.0 interface matches the sporty outlook and dynamic design of the HD650. An azure LED indicates power and transfer status. The DashDrive Durable HD650 will be available in capacities of 500 gigabytes and 1 terabyte, with color options of scarlet red and sleek black. The DashDrive Durable UD650 will be available at Amazon.com and Newegg.com.